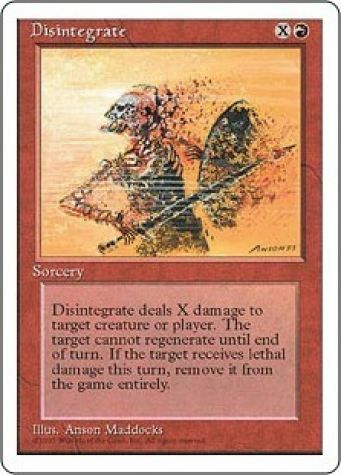 Disintegrate deals X damage to target creature or player. 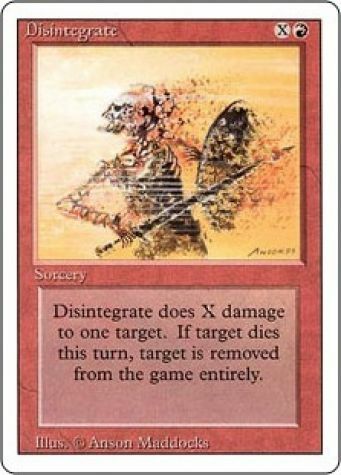 That creature can't be regenerated this turn. 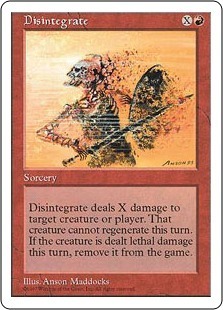 If the creature would be put into a graveyard this turn, exile it instead.